Part # for gray molding strips under doors? Where can I get a fresh pair? 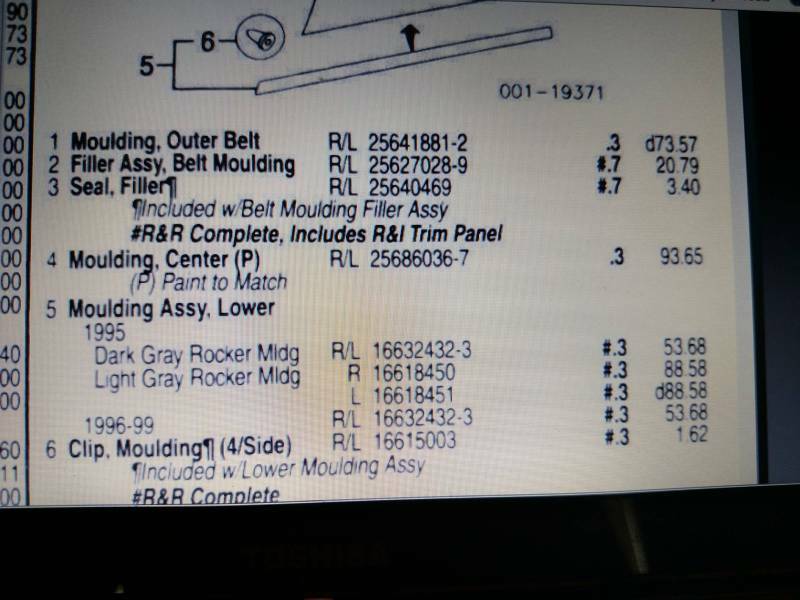 Here's "Moulding Assy, Lower" part numbers, Note differences' between 95's and 96-99's. GMpartscenter advises lower moldings no longer available. You might search and ask around further from RP forum members posting "Parting Out" options . Are you missing yours or attempting to replace existing mouldings? If you have them, refurbishing maybe your best bet. Good luck, and post back. I got a set thru my local dealer about 5 years ago. He had a hell of a time tracking them down. Good luck. Subject: Re: Part # for gray molding strips under doors? » Pro Armor Commander Doors! Press release.